Blog - A Beautiful Coin For Any Size & Any Budget! The Perth Mint’s Lunar coins are among the most popular bullion issues in the world. 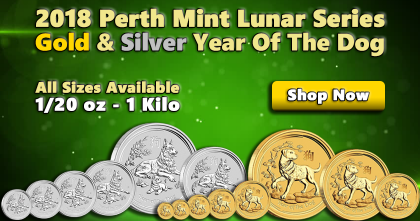 Based on the Chinese lunar calendar that rotates every twelve years, the Perth Mint has been extremely creative with this product line. Beginning in 1996, this series has stood out because the Perth Mint changes the design every year. Combined with beautiful designs and limited mintages, these coins have become highly sought-after by collectors and investors worldwide. 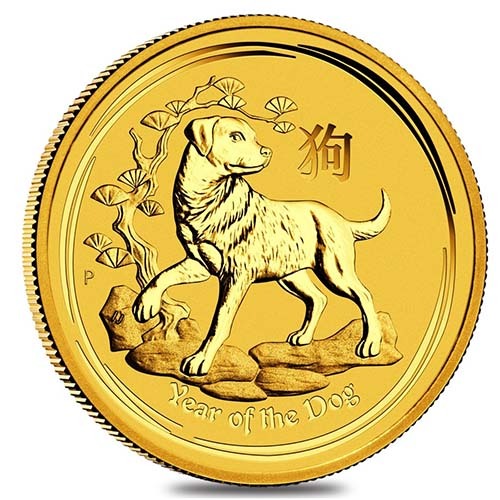 Monument Metals is proud to offer a pre-sale of the 2018 Year of the Dog goldand silver coins at the lowest prices online. Following the lunar calendar, anyone born in multiples of twelve years will be part of the Year of the Dog (2018, 2006, 1994, 1982 and so on). Not only are these designs beautiful and original, they come in a multitude of sizes. 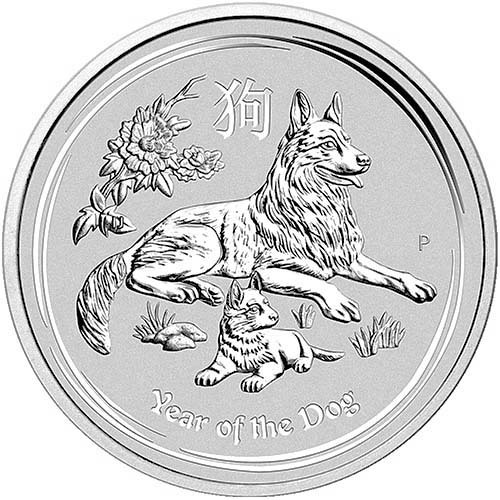 You can buy silver versions of the2018 Lunar Dog in 1/2 oz, 1 oz, 2 oz, 10 oz and kilo (32.15 oz) sizes. Alternatively, the gold issue of the 2018 Lunar Dog comes in 1/20 oz, 1/10 oz,1/4 oz, 1/2 oz, 1 oz and 2 oz sizes. Whether you’re looking to celebrate 2018, find a superb gift for a dog lover, or own a beautiful form of bullion, these are a fantastic option. They are available in a size and price point for every budget! 1. Initial Premium Over Spot - As a general rule, the premium over spot on the Lunar Series is at its lowest before or immediately after their release. Most investors and collectors like to pay as close to spot as possible when buying anything in the precious metals market. With that in mind, the best time to buy any coin in the Perth Mint Lunar series is when it is first available. These coins tend to sell out quickly and when they do, premiums move up swiftly. 2. Premium Appreciation Potential - Related to the last point, due to the extremely limited mintages and international appeal of these coins, they can become difficult to find -- even soon after their release. As an example, the last 1 oz Lunar Series Dog silver coin was produced in 2006. At release, those coins traded for a relatively small premium over spot (i.e. within a few percent of melt). With current spot prices just under $18 per oz, the same coin now sells for over $100 for only 1 oz of silver. That’s a 10-15x premium increase! 3. Sustained Popularity – Soon after release, many coins fade from visibility and dwindle in appeal. These are quite the opposite. Perth’s line of Lunar coinsis one of the longest-running mint series ever produced and, despite changing the design annually, it has remained popular with investors and collectors alike. That means that a purchase now will hold up well for resale much further down the line. Not only do these retain their resale value and liquidity, but they stand an excellent exchange of appreciating in collector premium too. An added bonus of this series is that each coin (in all sizes) comes beautifully packaged in original mint-sealed capsules straight from the Perth Mint. Combined with a beautiful frosty-luster finish and you have a silver and gold piece that will stand the test of time in your collection. Monument Metals is committed to bringing you the best deals in precious metals and bullion on a regular basis, and the Perth Mint Lunar Series is a shining example of that effort. Take advantage today and order your 2018 Lunar Dog in gold or silver while premiums remain low!